Forever. 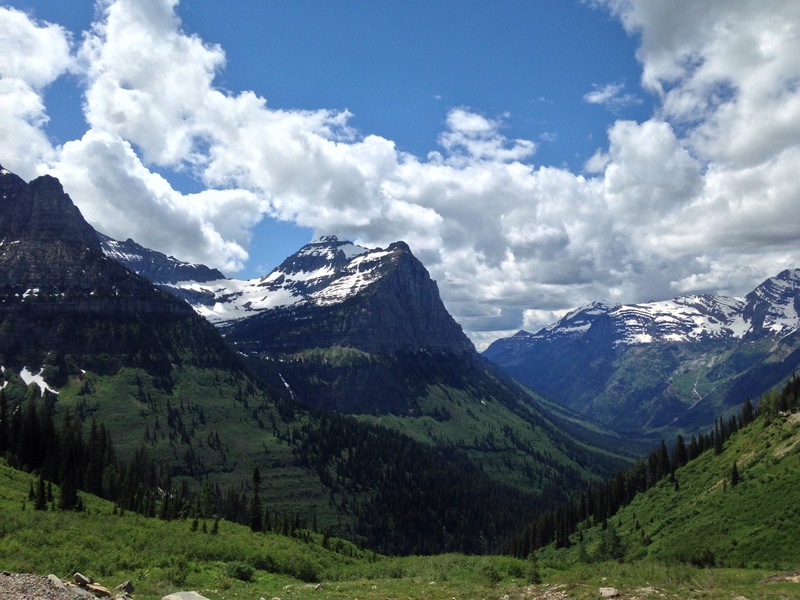 That’s how long I’ve wanted to visit Glacier National Park. When I, Mrs. Dirty, was in elementary school, I was a library assistant. Library assistants were allowed to leave class to help the librarian. (Normally, they chose the kids who finished their work early & disrupted the rest of the class.) Anyhow! I distinctly remember shelving a book about America’s National Parks. 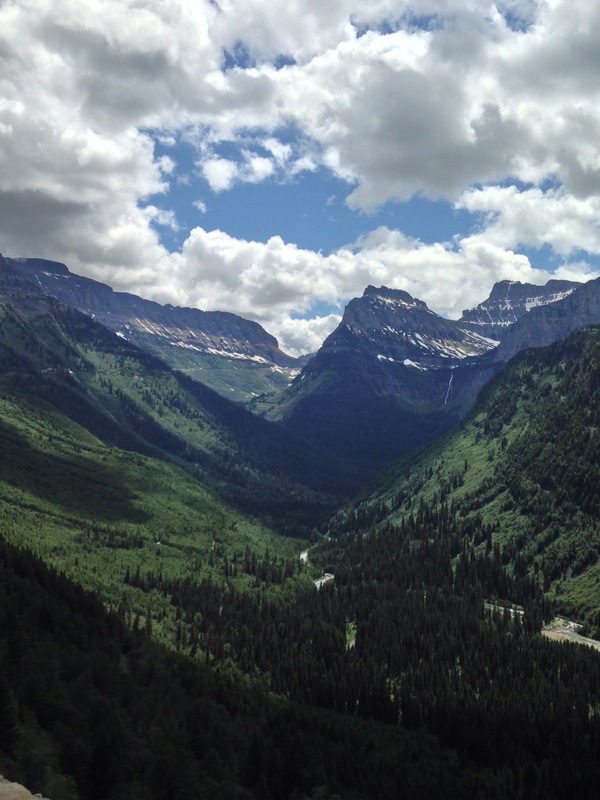 On the cover: Glacier National Park. 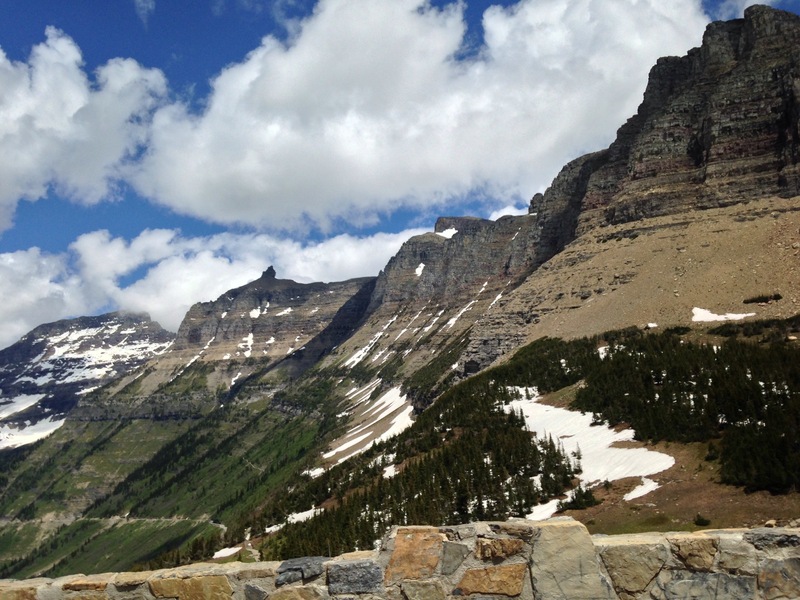 When we started planning this road trip, Glacier was my first request. Please, please, please!! Sadly, we didn’t have a lot of time to explore. I could spend weeks exploring this park & I’d still be sad when it was time to leave. 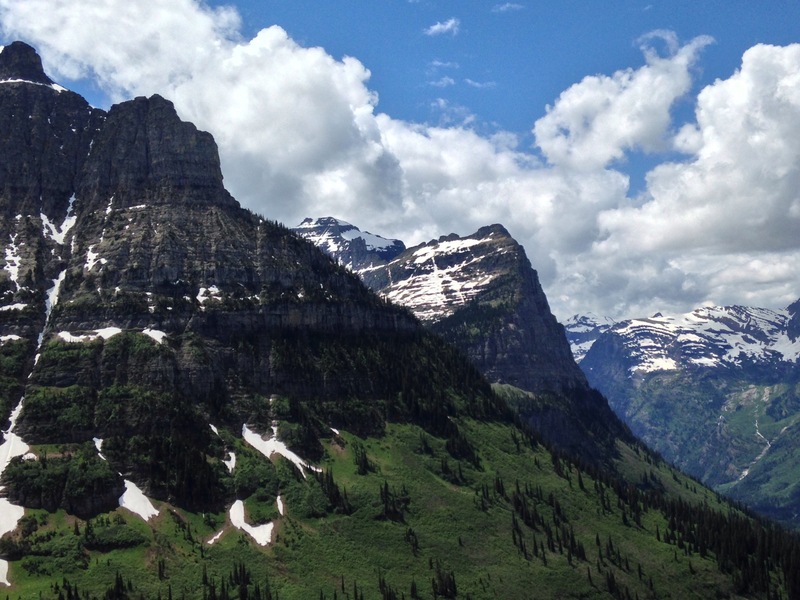 In fact, I’m totally down with moving to Montana. Just saying. 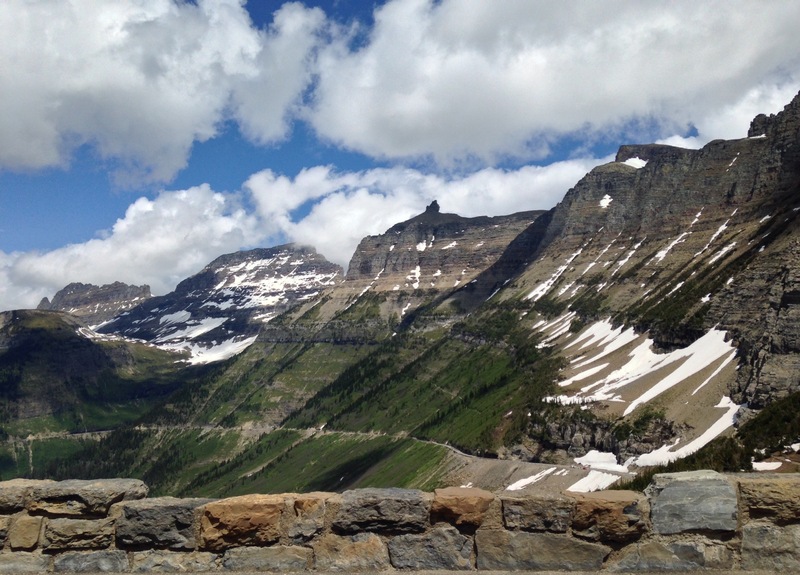 We had a few hours (yes, that’s all – remember the main objective of this trip is to visit family in Washington; everything else is gravy) to spend in Glacier, so we spent it on “Going to the Sun” Road. 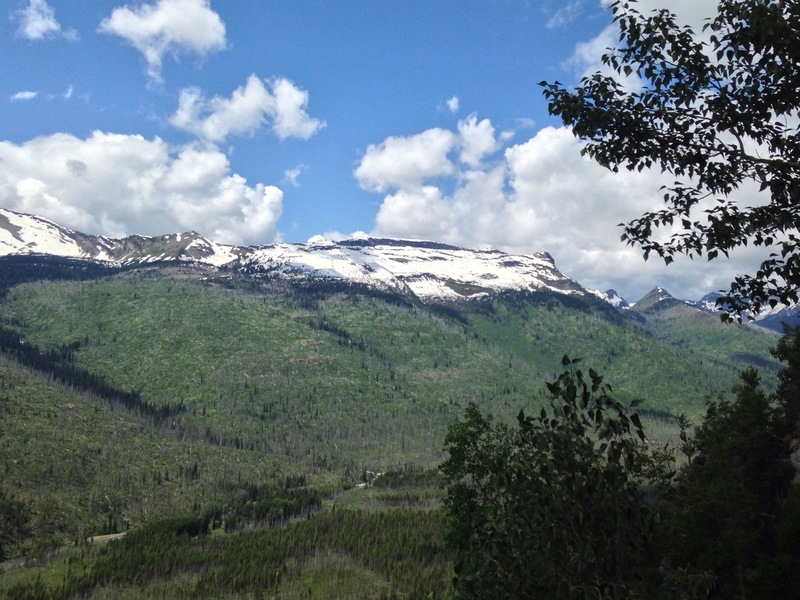 The road has only been cleared a few weeks, and it’s only open to Logan’s Pass. That’s just over 30 miles of heavenly beauty. Seriously. God was showing off when he made this place. I can’t even begin to describe how in awe I was of this majestic place. 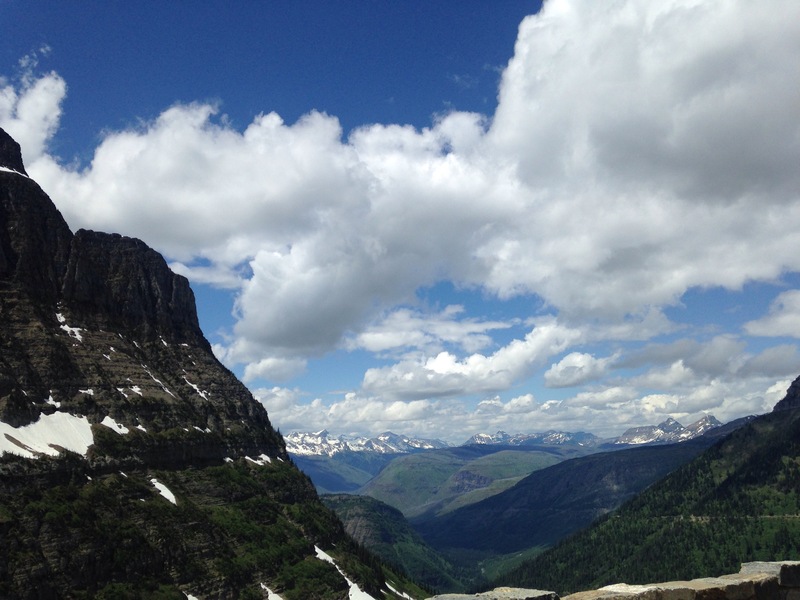 Way back in 1908, George Bird Grinnell (co-founder of the Audubon Society) named the area the “Crown of the Continent”. I agree. I know it’s been awhile since Valentine’s Day, but life was a little too busy back then to tell you this story. It’s an important story – one that needs to be told. Today. We didn’t have plans for Valentine’s Day this year – mainly because we needed the weekend to catch our breath; however, we wound up having one of the most memorable weekends EVER. The Dirty Boy was going with the church youth group to Winter Place Ski Resort in West Virginia for the weekend. We were stoked to have a kid-free weekend (nap time!). You know what they say about hearing God laugh?! Dirty Boy had a late soccer game (did you know those get over at 10pm?! ), and the ski trip bus left earlier that day. Guess who got an impromptu road trip to WV? The Dirty Duo! Around midnight, we loaded George with the Dirty Boy & his friend, Ms. Not-so-Dirty. Everything was lovely until we neared the West Virgijia border. Just as we passed the Welcome Center, things got really interesting… George died. Literally. 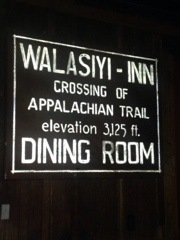 In the middle of the Jefferson National Forest & among the Appalachian Mountains, George died. Right there in the side of the highway in 19 degree temps at 4 am, George died. Thanks to USAA roadside assistance & a fearless tow truck driver, we made it to Bill Cole Subaru in Bluefield, where we waited for 1) a fabulous youth leader who came to pick up the kids, 2) the light of day to diagnose George’s ailment (spoiler alert: he was dead). We piled on ALL of the clothes from our suitcase & used the heated seats to keep warm while waiting for Bill Cole (the dealership, not the person – assuming there IS a person) to come to our rescue. Looking like homeless people, we walked to a nearby gas station for a healthy breakfast of coffee & powdered donuts. Breakfast of champions, my friends. With tears in his eyes, the mechanic delivered the bad news: busted crankshaft. 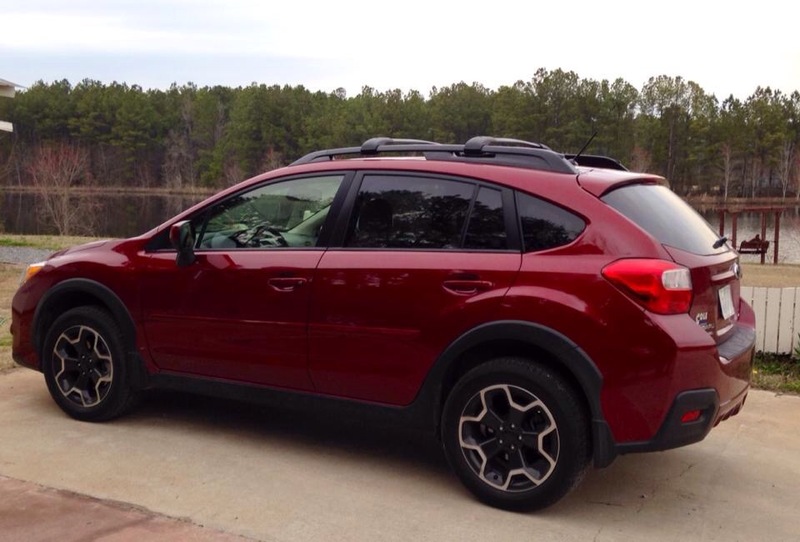 Since we needed a car to get back home, we bought a new Subaru: Mr. Valentino, a Venetian Red Crosstrek XV. As we were finishing the paperwork to make Valentino a part of our family, it started to snow. And snow. And snow some more. 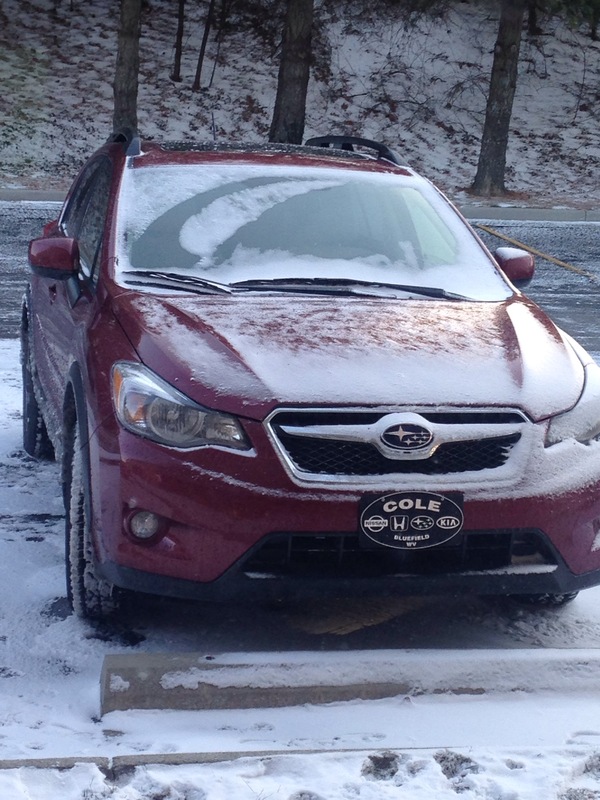 By the time we left the dealership, it was a full-fledge blizzard (at least in my Florida-girl mind). Since it WAS Valentine’s Day, we decided to grab some dinner. Yeah. Nothing was open except the truck stop by our hotel. Our dinner? Pringles, bottled water, and gourmet truck stop fudge. Yum. To top off our adventure, we were asleep for about an hour when the fire alarm went off in our hotel. Mrs. Dirty’s shower-wet hair froze solid before we know it was a false alarm (thanks, hotel DJ). With the Dirty Duo, life is an adventure. Every day, especially Valentine’s Day. To anyone out there who still reads our blog: We’re back!!! I’m sorry for our absence. It was a hectic year! I’ve never been more grateful to see summer vacation!! 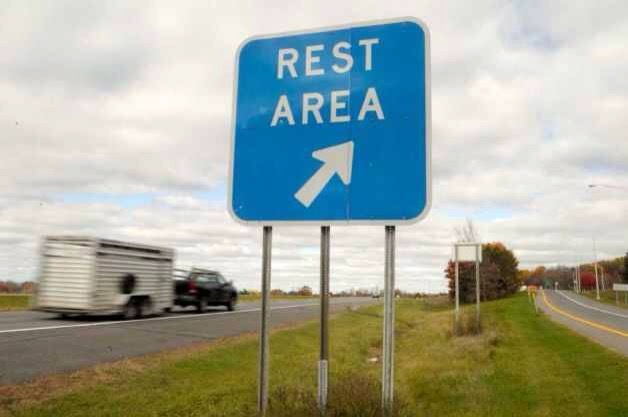 Thank you, Lord, for summer break – the Rest Stop on the highway of life!! 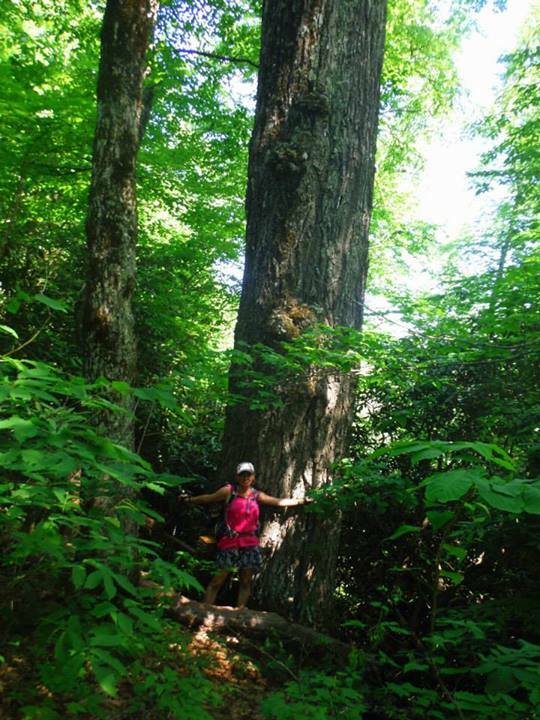 I’ve never considered myself to be a tree hugger. A tree climber? Yes. A tree hugger? Nope. It’s funny how the older you get (I’m getting comfortable with the old-er label), the more you value life. So I’ve become something of a tree high-fiver… They are friends who I couldn’t imagine living without, you know, since we really couldn’t. The best part (other than the oxygen) is that they never tell me when I stink! Wow. That’s a beautiful mountain. It really stinks that people are dumping their trash out there. Wow. That’s an amazing beach. It really stinks that people are destroying it with their four wheelers/condos/beer bottles. Wow. Those sea turtles are beautiful creatures. It’s a shame that people are killing them by being careless. I’ve learned that when we truly love something, we would do anything to protect it. It’s how parents – most, anyhow – feel about their children. It’s why I eat my key lime pie extra slow – I want it to last as long as possible. It’s the same reason we have fan clubs, PTA, health insurance, and charities. 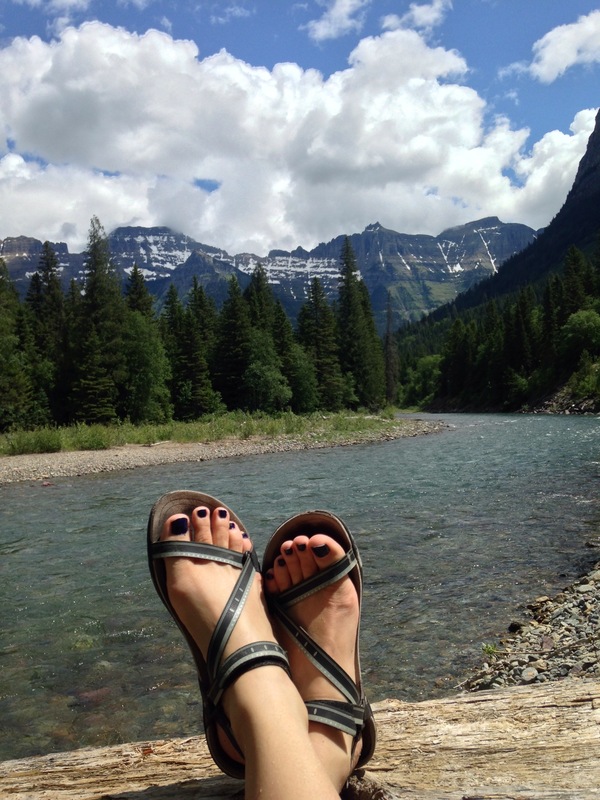 We want to preserve what we love so that we can continue to enjoy it & share it with others. Just in case you’re wondering, that’s the string from a balloon hanging out of the mouth of a Kemp Ridley. What goes up must come down. Balloons that come down over the ocean look like jelly fish to sea turtles. Turtles love jelly fish. Remember that when you are having a planned balloon release (it kills me that people still do this). See. That’s the kicker. 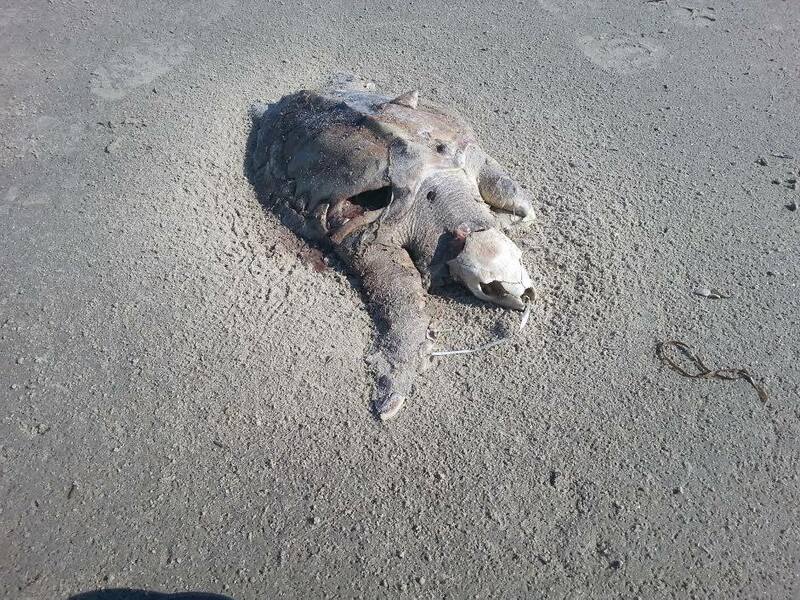 Did you KNOW that balloons kill sea turtles? I don’t know too many people who do. I didn’t, not until I visited the Turtle Hospital in Marathon, Florida. I don’t know too many people who, when faced with the knowledge that their actions are endangering an entire species, would continue to plow on. But most people don’t know. I believe most people care & would be willing to change. I believe that we have to do what we can to protect this blue marble for future generations. I believe that children are the future – teach them well and let them lead the way. Ahem. Sorry, I got carried away. 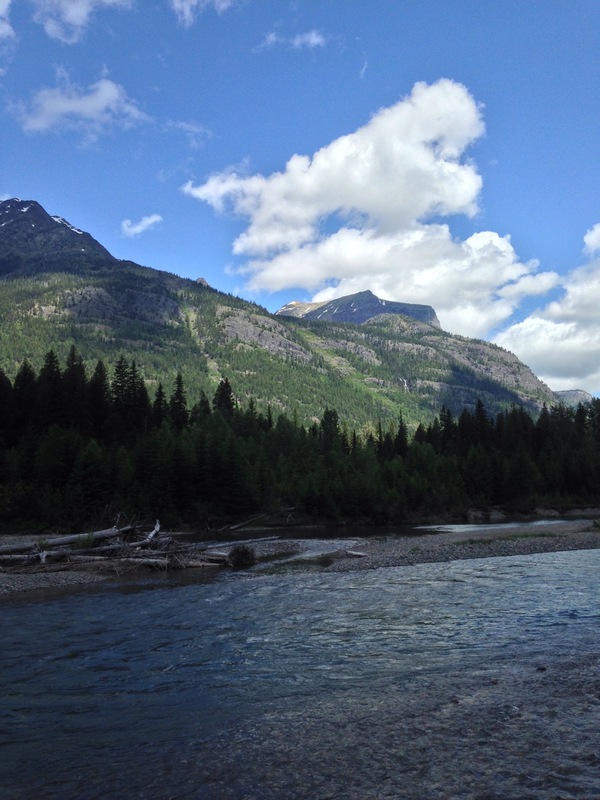 Education is key to preserving our environment – the mountains, beaches, lakes, creeks, all of it – and the plants and animals that live there. 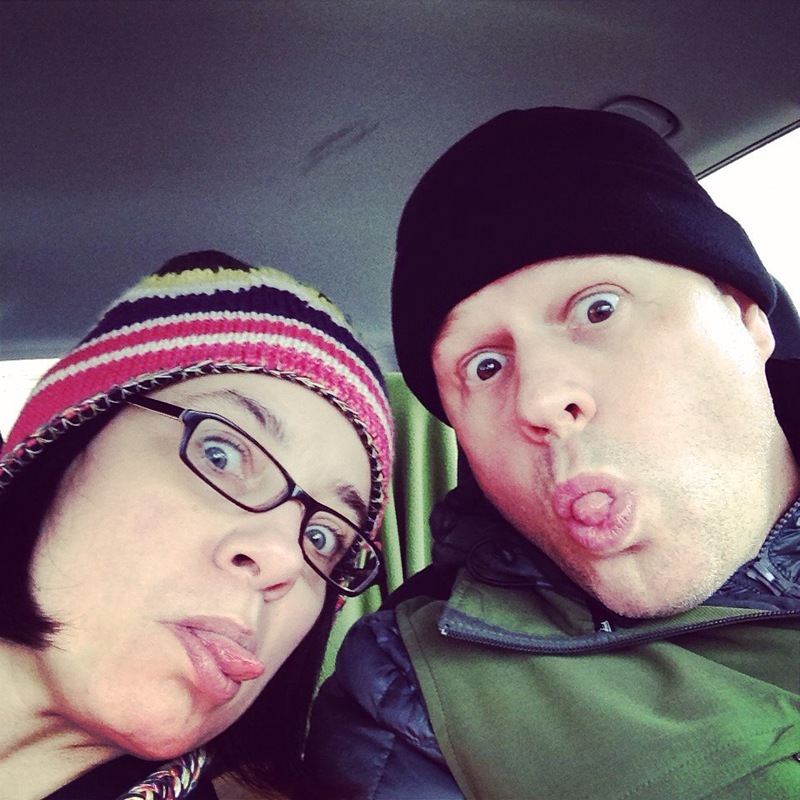 So, I signed us (me & the mister) up for a Leave No Trace trainer course. Simple, right? It’s so easy to protect what we love, but we have to be educated on how to do it. It’s the same reason the Dirty Duo took infant CPR before bringing home the Dirty Boy who had respiratory issues as a baby(He’ll kill me for this, but he ate poop! Not real poop, that meconium prepoop babies do in utero. Anyhow, it jacked him up – what do you expect from POOP?). We have to learn how to help. 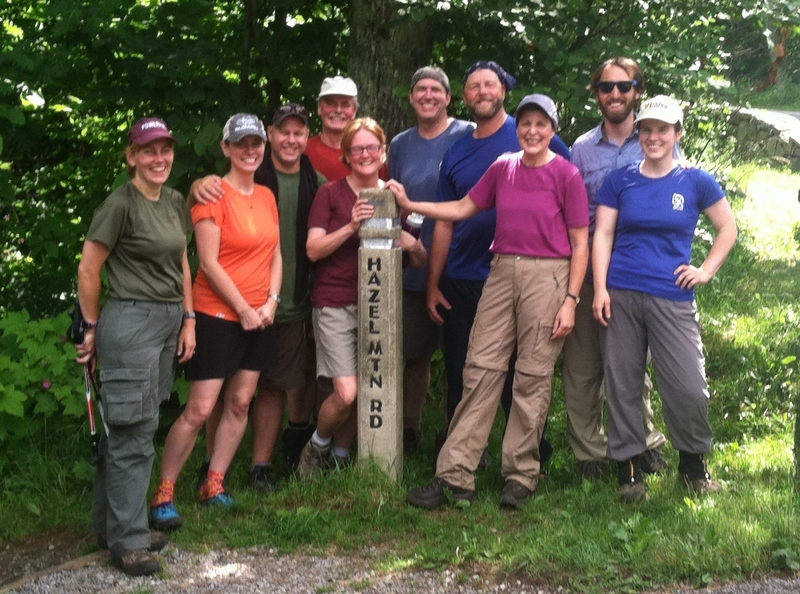 Our class was held in Shenandoah National Park. We were blessed to be a part of a phenomenal group of outdoor enthusiasts; all of us learning at the feet of the BEST LNT master educators in the country. I was in awe of the knowledge & experience these two shared with us. Fear Not! I will share more on the LNT principles… one principle at a time (it’s less overwhelming that way & way more fun!). I didn’t get much sleep last night – tossing & turning in anticipation of today’s trip. When we finally headed out, we had to go back. Why? I forgot my hiking shoes! Who does that?! Mr. Dirty & the Dirty Boy dropped me at Neels Gap this afternoon. And here I sit, watching “Something About Mary”, listening to the rain fall on the Appalachian Mountains, and the thunder taunting me. The forecast? More of the same. Looks like Mrs. Dirty is going to be playing in the mud this week! I don’t claim to know everything about love and marriage, as Mr. Dirty could certainly confirm. I absolutely do not know everything about hiking (even if it is just walking which I have been doing for most of my life). I may not know it all, but I am willing to learn! Life presents us with moments that mark our souls, and we learn so much about who we are and who we can be. If we open our eyes, even a trail in the woods can be a teacher. Over Spring Break (yes, I realize that was almost 2 months ago! ), Mr. 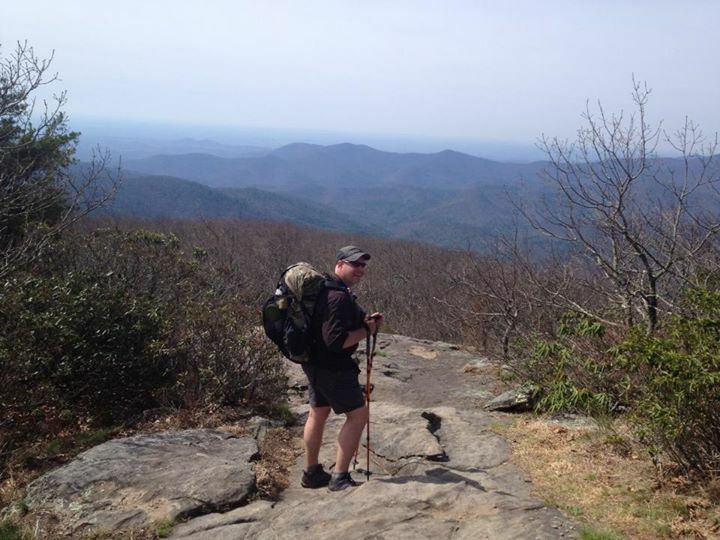 Dirty & I took the Dirty Boy for a hike on the AT – from Cooper Gap to Neels Gap. 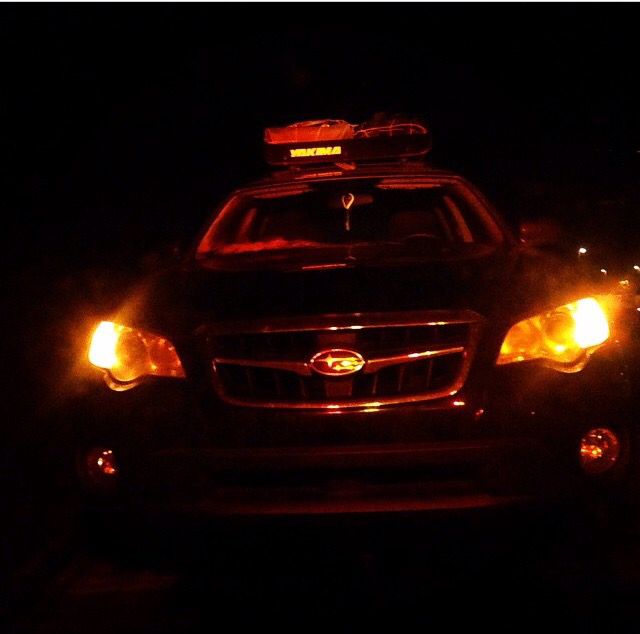 Getting to the trail proved to be the biggest challenge: we were hit by drunk driver who fled the scene. Thankfully, the damage was minimal! Lesson #1: Hiking isn’t THAT important. I know that might be earth shattering news, but it’s actually true. The safety of my family was the most important consideration. 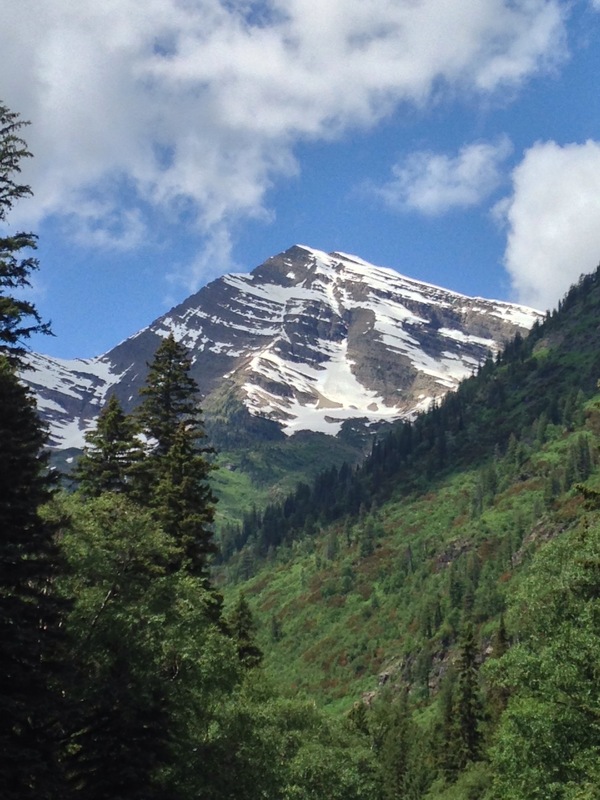 Hiking could wait… at least for a few days. Lesson #2: Sharing the trials of the trail will make or break a relationship. I’ve read enough trail journals and watched enough documentaries from the trail to know that not every relationship survives the trail. Friends, relatives, and lovers find their relationships destroyed on the trail because you can’t hide your ugly bits on the trail. Fortunately, Mr. Dirty has long since learned to live with my ugly bits, so when I get unbearable, he still loves me. Lesson #3: Support comes in many forms. Mr. Dirty & I support each other along the trail in many ways. We share the workload by dividing camp chores. We encourage each other – genuinely, sarcastically, and competitively. 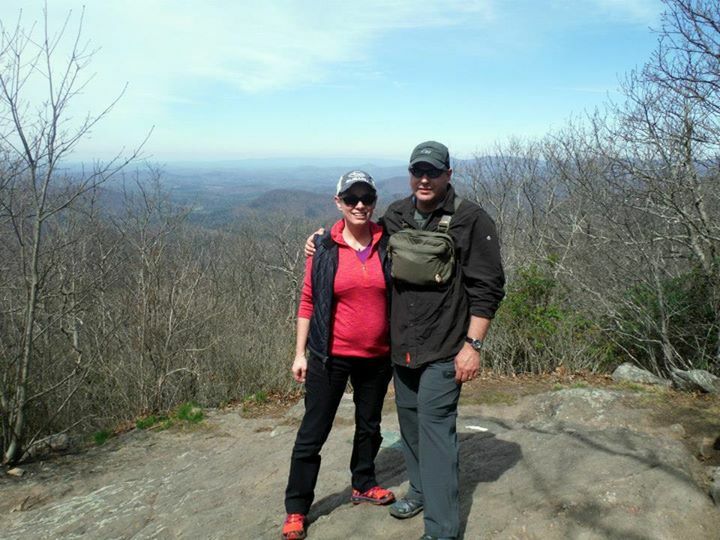 We are fortunate that we both enjoy and are physically capable of hiking. Not every couple is that lucky. On the trail, we met Sherpa Mom. 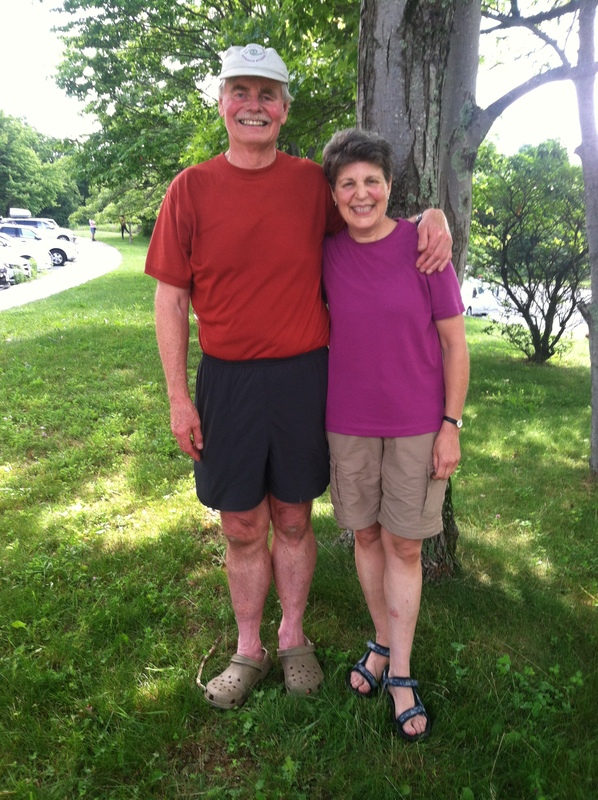 She was hiking the trail, and her husband was following in their RV to offer trail support. What love! Lesson #3: You find out what your children are made of when you let them go. This is a hard lesson to learn (I say is rather than was because I haven’t quite got the hang of it). It was obvious that we were moving too slow for the Dirty Boy. He was like a dog pulling on the leash! So, we let him run wild and free. 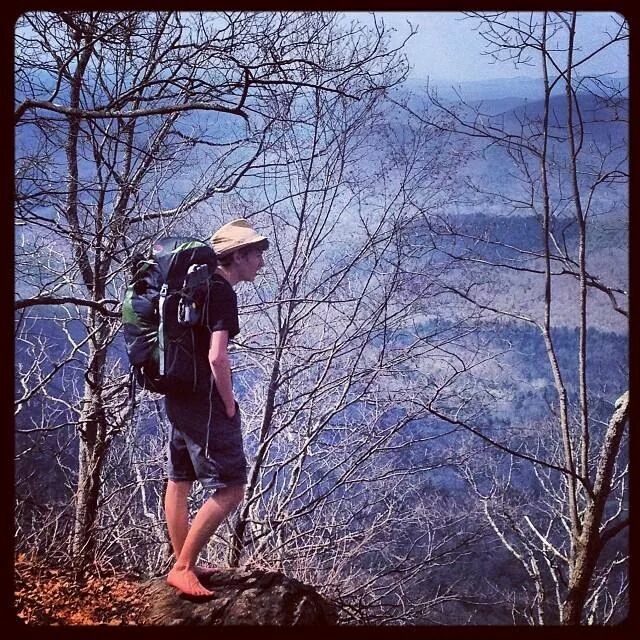 He ran – literally, not figuratively – up and down the trail and over the top of Blood Mountain… barefoot. He visited with other hikers, took pictures, and enjoyed the trail in ways that he never would have if he had remained shackled to his slothful parents. This should make letting go of the Dirty Offpring a little easier… so they say. Lesson #4: Its important to watch each other’s back. (This lesson goes out to Cousin Phil who said he couldn’t wait until I talked about poop… here ya go, Phil). Pooping on, er along… please don’t poop on the trail, can be risky business. There are all sorts of disasters that can befall you once you squat: bugs, snakes, poison ivy, bears… just to name a few! Mr. Dirty & I stand guard for each other at the privvies (composting type toilets at shelters, usually without doors). No one likes to be interrupted while on the throne, nor do you want to interrupt someone who is on the throne. When we are without a privvy, we’ve found it helpful to watch each other’s back (figuratively, not literally… that would be gross). The things you do for the one you love!! Last night, we left Georgia bound for a place that makes me soul feel at rest. The Florida Keys. I grew up in Florida so I’m no stranger to fabulous beaches. 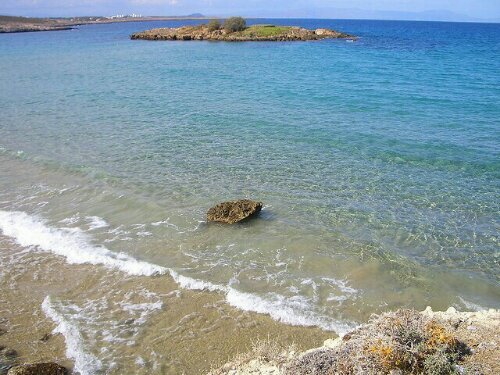 I spent a year living within walking distance of Kalathas Beach in Crete, Greece. I I feel alive & reinvigorated on a crisp mountain morning, but I feel a sense of being at home when I’m on a beach. 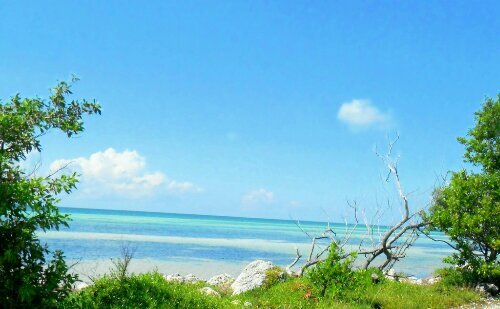 The Florida Keys are different from any other beach or coastal community I have ever been to. 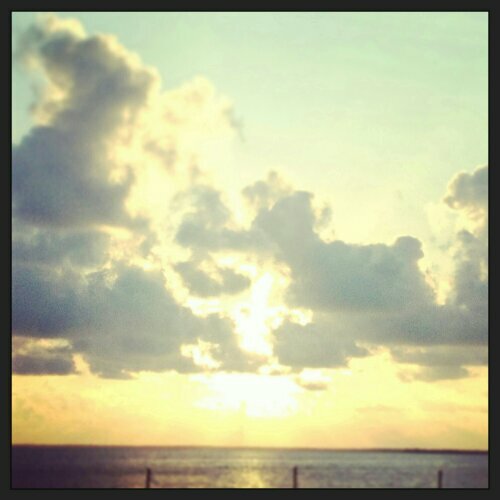 Almost everyone has heard that time practically stands still in the Keys. Stress? Not in Monroe County. It could all be one huge, glorious act;however, I’ve never seen anyone who lives here act stressed. They seem to be the happiest, easy going folks EVER. And why wouldn’t they be?! This is our second trip to the Keys. 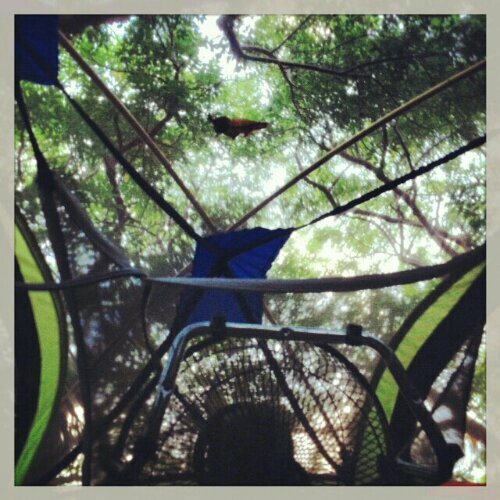 We stay Bahia Honda State Park – where we sleep in tents. Our first trip, we stayed in the Bayside campground…. no electricity…. in July. Never again. It was hotter than Hades! Last August, I reserved our site in the Sandspur campground. Electricity!! You will never appreciate the luxury of a simple fan to circulate air in your tent until you’ve spent a week in Florida without it! (I’m actually writing this on my fully charged Kindle Fire on my inflated queen size air mattress with a lovely man-made breeze blowing in my hair. It’s a beautiful thing.) Morning report: excellent sleeping. Bonus points!! I don’t think what we are doing is true camping. This? This is glamping! It’s way too comfortable to be true camping. We even have a table cloth on our table!! 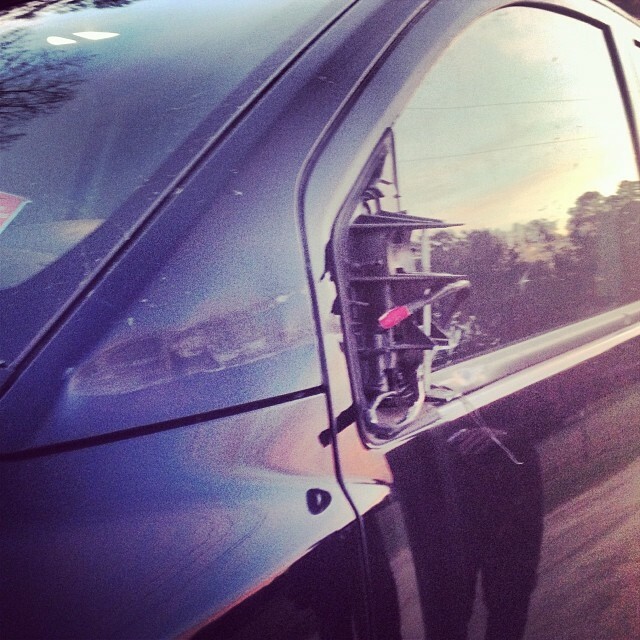 Our only stressful part of the drive – other than the I95 parking lot through Jacksonville – was my new bike rack. For Mother’s Day, Mr. Dirty and the kids bought me a Yakima Doubledown Ace 4 bike rack for my Subaru, George. It’s one incredible bike rack!! The problem? It rode so low that it appeared to be falling off the car. Initially, Mr. Dirty thought I had incorrectly installed it. A perusal on the internet (what did I ever do without a smart phone?!) and a YouTube video later, and we learned that I did it right. It wasn’t until I found a Subaru forum (yes, they have those…. they have an internet forum to talk about just about anything you could dream of) that I learned you needed a Class II hitch to transport any more than two bikes. I have a Class I. Guess who will be getting a new hitch for their car?? 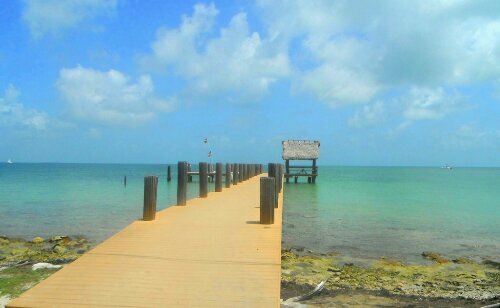 When most people think about the Keys, they think about Key West. With over 660,000 people arriving via cruise ships per year and Jimmy Buffett ‘s Margaritaville, it’s understandable. We spend just a few hours in Key West, and that’s plenty. There is so much more to do! 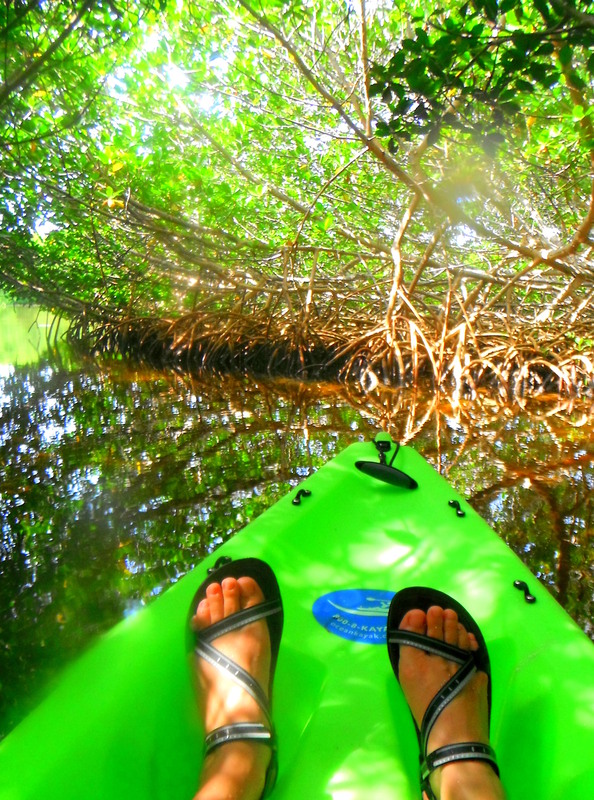 On a previous trip, we took an eco-kayak tour & snorkled the Looe Key Reef. This year? We’re going to have all sorts of fun!! Pigeon Key – Pigeon Key is located at the mid-point of the 7 Mile Bridge. During the building of the Overseas Highway, Pigeon Key was a camp for the construction crew. Later, it housed the bridge tender and his family. Now, the island is home to a museum that pays tribute to Henry Flagler’s Overseas Highway and the families who sacrificed for the OH. I know, I know… who wants to go to a stinking museum on vacation?! Who cares about the museum?! Not me. But the island (and getting there) is amazing! 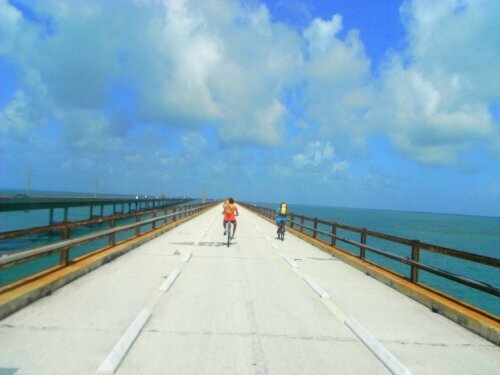 We rode our bikes across the Old 7 Mile Bridge; it’s only 2 miles to Pigeon Key. The tide was out as we rode the Old 7 so we saw loggerheads and needlefish swimming in the shallows. 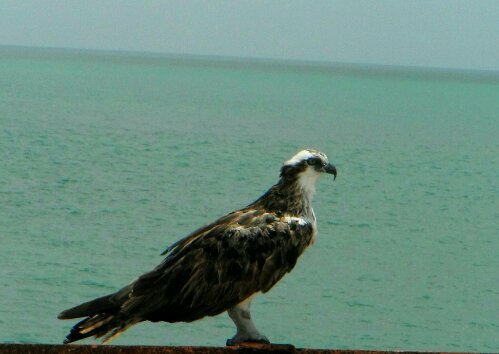 There is a gorgeous osprey who lives on the bridge; he looked so regal looking over his kingdom. On the gulf side of Pigeon Key is a boat dock and small beach where we enjoyed fine cuisine (pb&j from my backpack) and snorkeling. Snorkeling under the dock was pretty awesome. We swam with tons of fish – most notably toothy baracudas and colorfully quilted parrot fish. 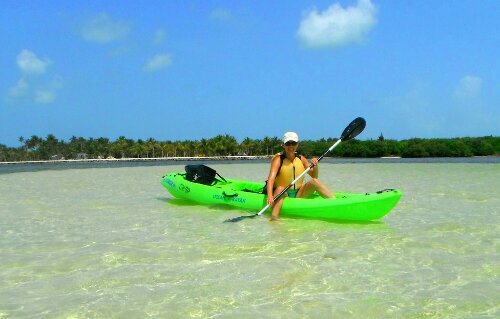 Kayaking at Curry Hammock State Park – Curry Hammock State Park is located on Marathon Key (I believe) and has kayak rentals at a reasonable rate ($21 per 2 hours for double kayaks). 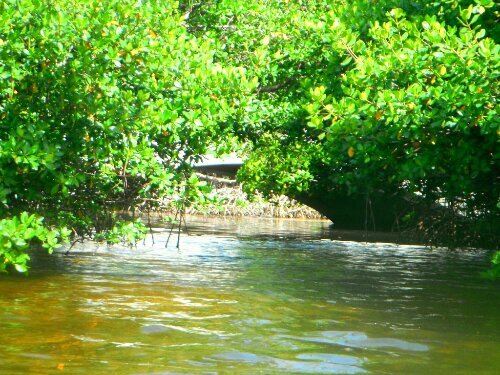 CHSP has a small “trail” that you can kayak which takes you through a mangrove (these are trees & not to be confused with the mango which is yummy when ripe) tunnel. Having only skirted the mangroves on our last trip, we were rather excited to go through the tunnel! We were warned the mosquitoes were bad through there there but only the sweet one (Hiking Ninja) from our crew had problems with being tasty. It was pretty surreal paddling through the tunnel: we weren’t that far from civilization, but it felt like another planet. After the tunnel, we found a small beach that was a breading ground for horseshoe crabs and a sand bar that was teeming with life. It was amazing! Turtle Hospital on Marathon – This is the Dirty Diva’s favorite part of the trip. She loves turtles – especially sea turtles. 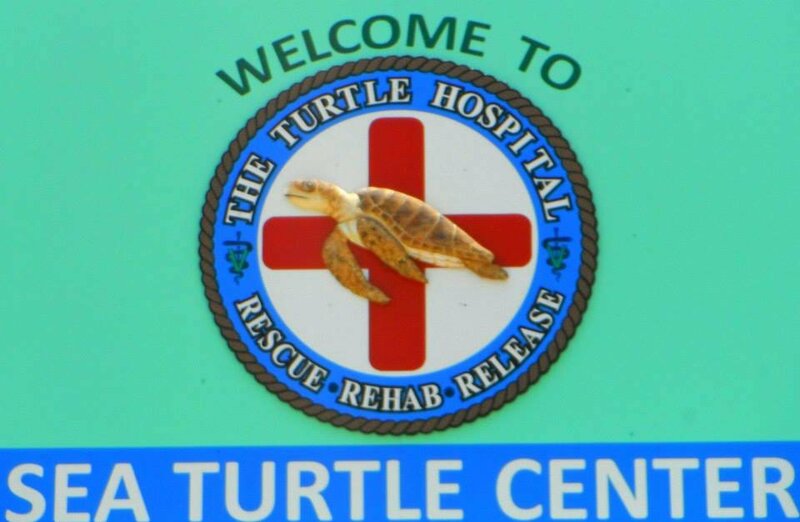 The Turtle Hospital takes sick and injured turtles in from all over the US. 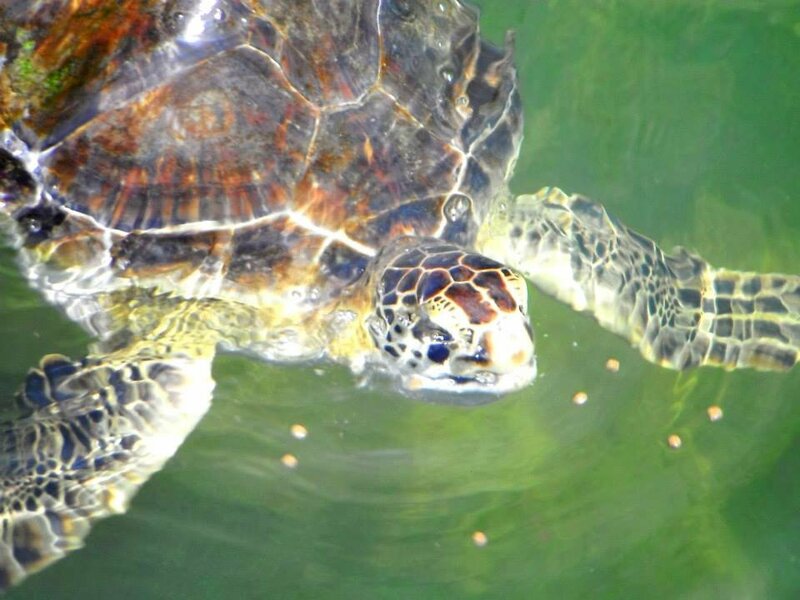 On our first visit in 2011, we were able to observe a loggerhead by the name of George having tumors surgically removed. On this visit, we were reintroduced to George as Georgette. Apparently, turtles don’t advertise their gender until they’re adolescents. Ahem. The hospital does amazing things for these turtles & is a highlight of our trip! Islamorada’s Third Thursday Art Walk – On the third Thursday of every month, the Morada Way Arts & Cultural District sponsors the Third Thursday Art Walk. Local artists & musicians come out for the evening to show off their best work… which was incredible. The best part was meeting the local artists and hearing their stories (I loved talking to the retired teacher who left New York & loves that they know his name in the post office!). Food? We did quite a bit of eating in camp (thanks to the Winn Dixie on Big Pine Key); however, our restaurant experiences were quite incredible… as always. 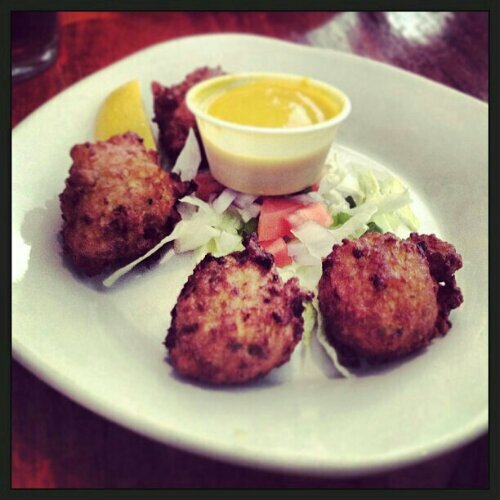 I am not a seafood eater, but I tried the conch fritters in Key West. They were really… chewy. We enjoyed the Island Grill in Islamorada and Mangrove Mama’s on Sugar Loaf Key (although the Island Grill was far superior to the more expensive Mangrove Mamas). Our top rated & most highly recommended eating? 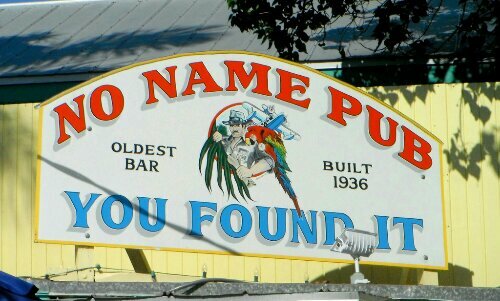 The No Name Pub on No Name Key. Always awesome. Always fun. Always delicious. 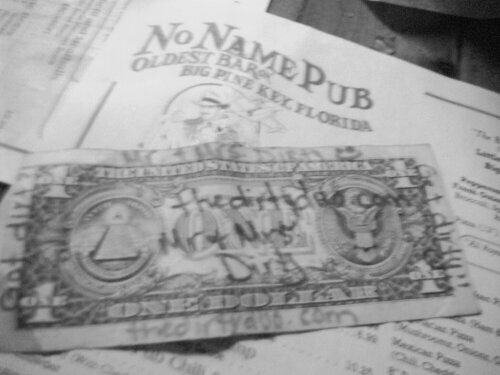 The place is covered in dollar bills, one of which advertises for The Dirty Duo… just saying.